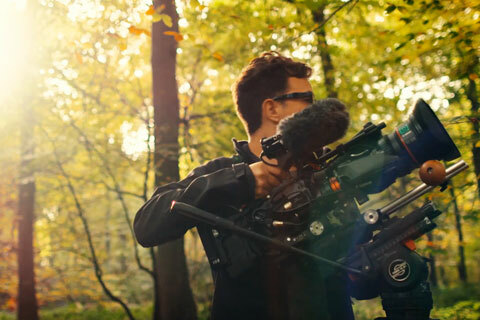 Having now used the Sony FS7 for over two years, Wex Photo and Video recently commisioned me to produce a film to share my views on using the camera in the long term. Trying to keep it as indepth and honest as possible, I set out to create something that could be handy for someone coming to the Sony FS7 for the first time. Looking back a few years now to when this came out, it was revolutionary in it's own way. Whilst many of the features could be found on other cameras, the way Sony have positioned it, it really was set to become the go to tool for TV. I love the ease you can jump around framerates, the fact the E lens mount is so universal there's not a lens you can find that can't be adapted to work with this camera, the fact that it's ENG ready out of the box and also the price point. Now having lived with camera for some time, there are many things I'd change... the fact it's so easy to knock all the buttons when it's on your shoulder, not having enough ND when it's really sunny, not being able to programme centre-crop mode to a user button, the lack of timecode control straight out of the box... but all things said and done, I doubt there's a camera in the world that could please every cameraman out there.